Welcome to Urban Kai! We are a stand up paddleboard (SUP) school and outfitter that offers affordable group or private lessons with excellent instruction along with an extraordinary adventure. You will be paddling in a safe, controlled environment with experienced and qualified instructors, quality equipment and in breathtaking locations. Even if it is your first lesson, you will be up and paddling regardless of your age, experience or fitness level. 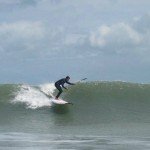 Our experienced instructors have been stand up paddling for years in flat water, small waves and big surf. They will be able to answer your questions and give you proper instruction you’re looking for. Reserve by calling 813-598-1634 We even bring a camera so you can have photos of your experience. We also offer stand up paddleboard fitness classes and yoga on water for people who want to enjoy the water and get in shape. Find out why stand up paddling is the fastest growing water sport in the world. You’re going to love it! It’s a phenomenal low impact workout and the most fun you’ve ever had on the water. Join us for 2 hours of instruction and fun on the water! Our experienced staff will introduce you to the sport of stand up paddling. First, you’ll learn about the proper use and care of the equipment along with correct paddling and turning techniques. Then, depending on water and wind conditions, we may paddle down the coast, around Tampa Bay, up one of several rivers, or explore smooth waters of various reserves. With our instruction you’ll be up, paddling and smiling on your very first lesson! Lesson includes board, paddle, personal flotation device, and qualified instruction including water safety,playtime and digital water photos delivered via email. Groups must have at least one adult. Morning, Mid-Day, Sunset and Custom lesson times are available. Your groups’ own private instructor for one or two full hours! You’ll learn the fundamentals of stand up paddling with private instruction for your group from one of our top instructors. Whether you’re interested in the fitness benefits of stand up paddling, are planning to enter the surf eventually, or whether you’re just out to have a good time, you’ll get exactly what you need to get started the right way. Lesson includes board, paddle, personal flotation device, and qualified instruction including water safety, playtime and digital water photos delivered via email. Groups must have at least one adult. Mornings, Mid-Day, Sunset and Custom lesson times are available. Personal one-on-one instruction from a top instructor to jump-start your stand up paddle experience, take your skills to the next level, or simply have a fun time! We’ll cover everything from proper paddle stroke, choosing the right equipment, turning, water safety and more. Lesson includes board, paddle, personal flotation device, and qualified instruction including water safety, playtime and digital water photos delivered via email. Custom lesson times are available. An introductory 1-hour group lesson to stand up paddle boarding which includes the teaching of basic skills and a paddle around Harbor Island. A great way to get started in the world of SUP! We offer 1 or 2 SUP 101 classes per week and it’s a great way to meet other SUP enthusiasts. Please RSVP if you need a board so we know about how many to bring out. Take your skills to the next level. The next step after you have completed SUP 101. In SUP 102 you will learn more advanced techniques such as advanced turning methods and race and safety techniques all in the same beautiful setting as SUP 101. You can even take both classes in the same day! Please RSVP if you need a board so we know about how many to bring out. This accelerated course is a must before venturing out in the surf. Prior to your stand up paddle surf lesson, we recommend taking an introductory flat-water lesson or putting in some personal water time before venturing out in the surf. The dynamics, manners and flow of the surf lineup will be new even to experienced prone-paddle surfers. Proper surf instruction is necessary in order not to be dangerous to others in the water. It is crucial for you to get trained on stand up paddle surf technique and etiquette before you get to the lineup. 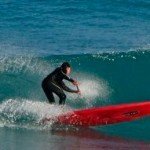 In this lesson we will cover: ideal equipment for the surf (board, paddles, leashes, deck pads, etc. ), etiquette, paddling and turning techniques, getting out to the waves, the dynamics of the line-up with stand up paddle surfers and where you fit in, catching waves, hazardous situations, handling wipeouts in the surf, keeping your equipment under control, and more. After land and flat-water instruction, we will paddle out to a controlled surf break to catch some small to medium sized waves depending on the local conditions and your personal comfort level. Lesson includes board, paddle, personal flotation device, and qualified instruction including water safety, playtime and digital water photos delivered via email. Custom lesson times are available.